Happy weekend! I hope you’re spending it well! After a seriously busy few weeks, I’ve finally found a second to sit down, upload some pictures and finally get a post together. It’s Saturday, so obviously it’s the perfect excuse to enjoy a bit of a treat, and I’ve become somewhat obsessed with Prestat Chocolate. Not only is Prestat Chocolate the best looking on the shelf but it’s got the Royal Warrant – so it has to be good! 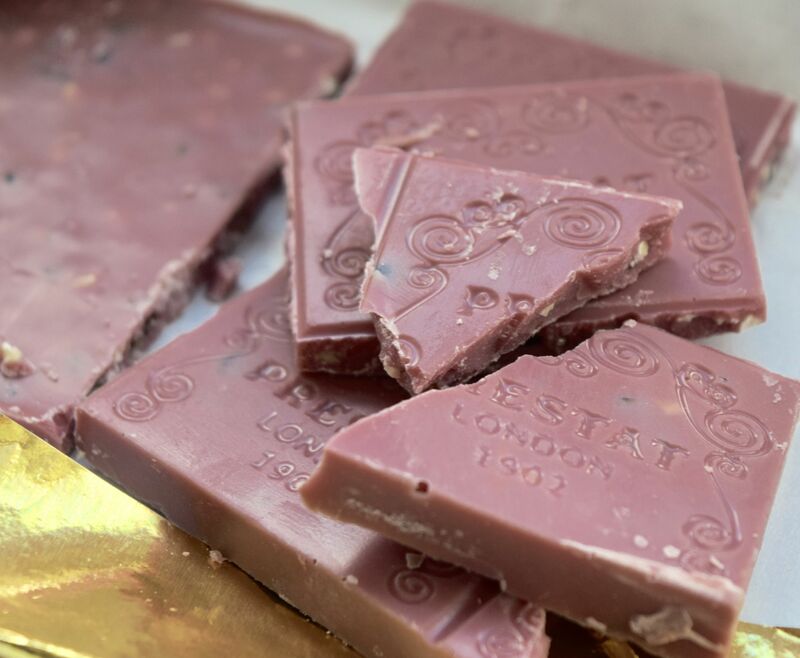 The newest offering from the company is their Ruby Chocolate – a creamy not-so-sweet alternative to milk chocolate, which is surprisingly moreish. 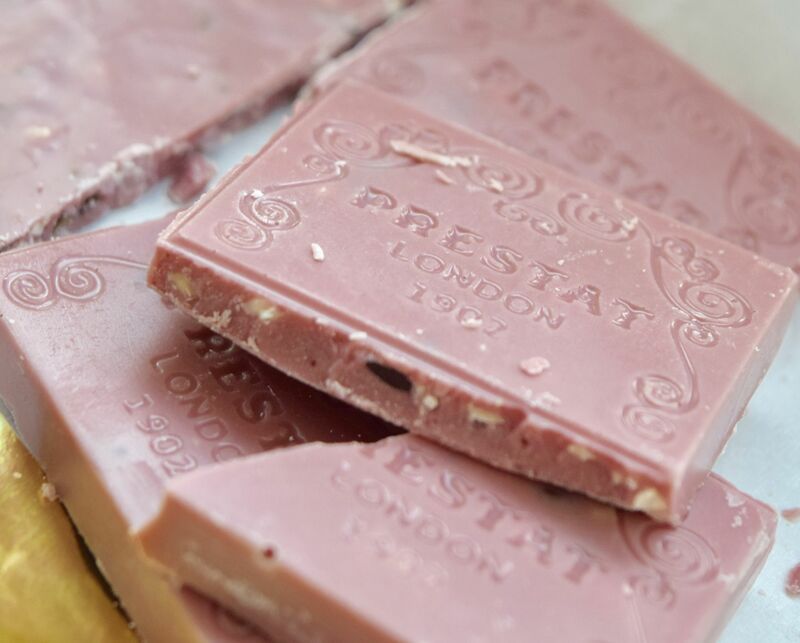 The fruitiness of the ruby chocolate has been enhanced by Prestat, who have added almonds and cocoa nibs to the bar – and the result? A treat which you’ll be reaching for all evening. 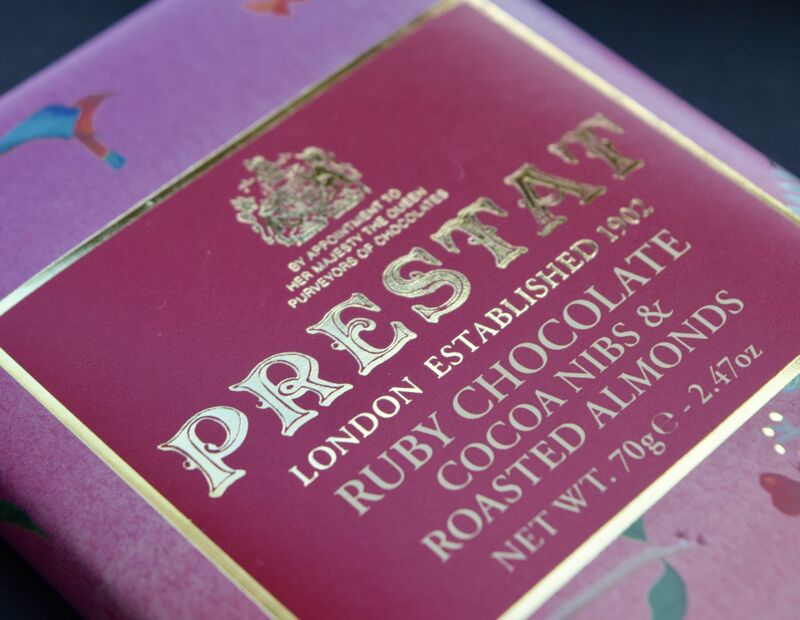 As you would expect from Prestat, the chocolate is sublime, and the addition of cocoa nibs and almonds are a delicious surprise!